The RBA has announced its decision to leave rates on hold. 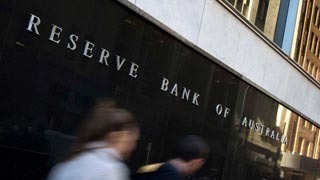 But it is the issues not mentioned in the RBA statement that would be playing on the minds of board members the most, writes Alan Kohler. While the Reserve Bank (RBA) has left the official cash rate at a historic low, some economists believe interest rates must fall in the months ahead to restrain the value of the dollar and encourage recovery in non-mining sectors of the economy. The growing headache for the RBA is the lower the rates, the greater the boom in the housing market – and bigger the pressure for regulators to intervene and ensure house price inflation does not burst like a bubble. It is demand for homes in Sydney and Melbourne that is driving national dwelling values to unprecedented heights, according to the latest RP Data capital city house price index.